It surprises me that this is my first review of a Byredo perfume. I haven’t tried everything they have to offer but most of what I have sampled has been well made, if not rather interesting (it’s hard to ignore the genius of the tinsel-esque M/Mink and Solero-esque Pulp). Still, my laziness as a blogger has resulted in the brand not being featured and for that I shall have to give myself a large slap on the wrist. It didn’t take much more than that to get me salivating! According to my good friend Wikipedia, inflorescence means; “a group or cluster of flowers arranged on a stem that is composed of a main branch or a complicated arrangement of branches” , and this is entirely in keeping with the fragrance’s theme of a bouquet of intensely aromatic flowers. One could be forgiven for understimating Inflorescence at the first sniff. On the surface it comes across as an incredibly squeaky clean and aqeous floral in the same vein as Estée Lauder’s epic Beyond Paradise, however less immediately impressive. 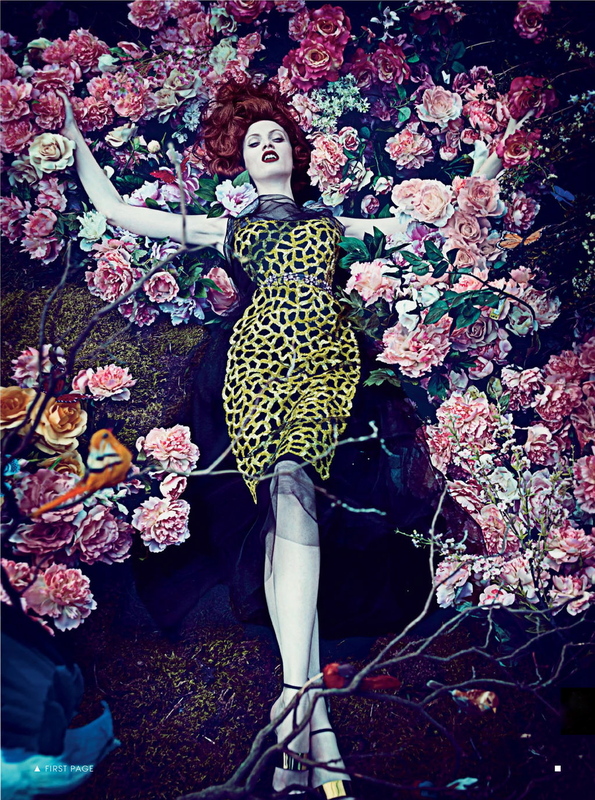 The initial impression is of blindingly bright and hot floral air trapped inside a greenhouse – it overwhelms at first but as the air becomes more breathable around you the intricacies of the perfume come out to play. After a slightly rocky start Inflorescence pays off. At its core sits a wonderfully balanced white floral bouquet; magnolia, jasmine and muguet, all string together to waft the aromo of intense blooms, giving the impression of an exotic white bird taking flight. The contrast of crisp and dewy green notes against warm, creamy petals is truly exceptional, creating a whole spectrum of textures. The base is full of whisps of musk and hay as if the perfume has worked it’s way, through its stages, all the way from the petals in bloom, down the stems to the dry grass below. Things definitely subdue with time and what starts out as an olfactory explosion settles down to a sun-kissed glow of a skin scent. Inflorescence is one of those fragrances that grows on you with time. My experience with it certainly wasn’t love at first sniff, but as we all know those kind of love affairs do not last, it is the persistent fragrances that win our hearts in the long run. Not too loud. If summer ever appears then Inflorescence is going to get a lot of time on my skin, that’s if my little decant doesn’t run out first! 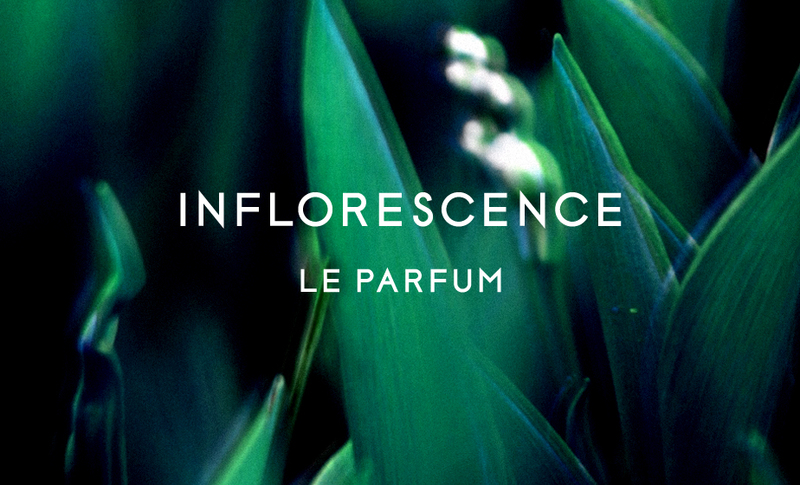 Inflorescence is available in 100ml Eau de Parfum for £130. Sample provided by Byredo. Notes and quotes byredo.com. via Wikipedia. Image 1 via reallifeiselsewhere.blogspot.com. Image 2 via byredo.com. Posted in Byredo, Floral, Green, Perfume Reviews and tagged Beyond Paradise, Byredo, Estee Lauder, Floral, Fragrances, Inflorescence, Perfume. Bookmark the permalink. Inflorescence sounds nice. I recently tried Sunday Cologne few days ago and I liked it a lot. Will have to check out this new offering. It is very nice indeed – definitely worth a sniff. How would you describe Sunday Cologne? Sounds lovely! I have a lot to try within the line so is will give it a go. Please do. Did you get a chance to try Acqua Decima I told you lately via Twitter? Perfect description! I sniffed this a few weeks ago in Barney’s in San Francisco. I love it and hope to get my hands on some soon! Ooh I’m so glad you love it too! I am really taken with it. I purchased this scent – I LOVED it as a lady at the airport walked past and I caught the scent. Then I read you review as well. MY ONLY GRIPE – IT REALLY DOES NOT LAST LONG – as one of the most expensive perfumes I have ever purchased (as I don’t generally use perfumes) I found within half an hour the essence was gone. As a comparison there are brands that have 33% essence and last over 6 hours .. do you know what percentage essence Inflorescence has?? Isn’t it such a pain when that happens? There are so many scents I love but just aren’t long lasting or strong enough. I’m not entirely sure about the concentration. EDPs tend to be between 15 and 20% so that should give you a guide. It’s not all about the concentration though, some materials are just lighter, especially citrus notes which are more volatile when natural, and will evaporate quicker.